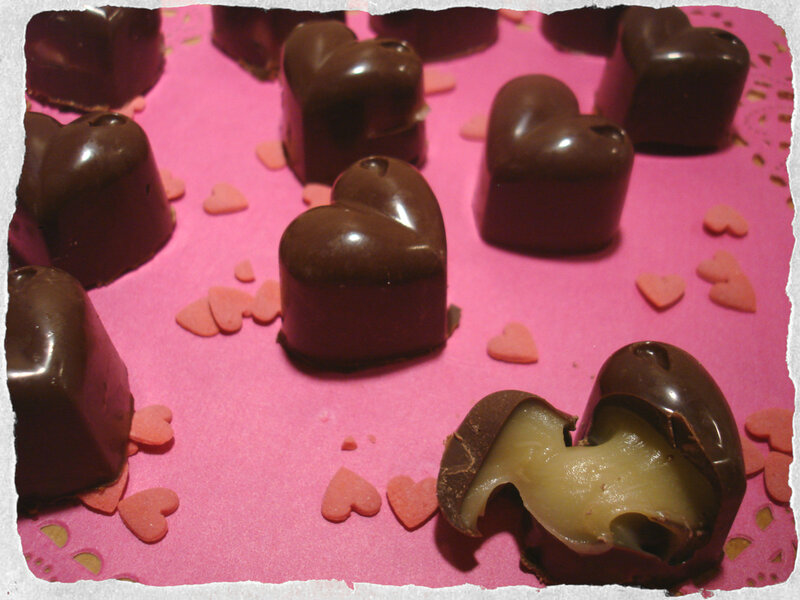 Valentines day and chocolates go hand in hand and Baileys is just a girls best friend right? 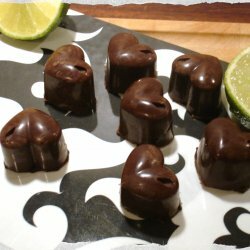 I found this recipe on another blog last fall and have wanted to try it out for a while now, and Valentines Day is a perfect occasion for sweets like this. This recipe calls for Bailey’s but I think that you could add almost any liquor you’d like. Cointreau or Kahlua would work really well…yum…yes very well. 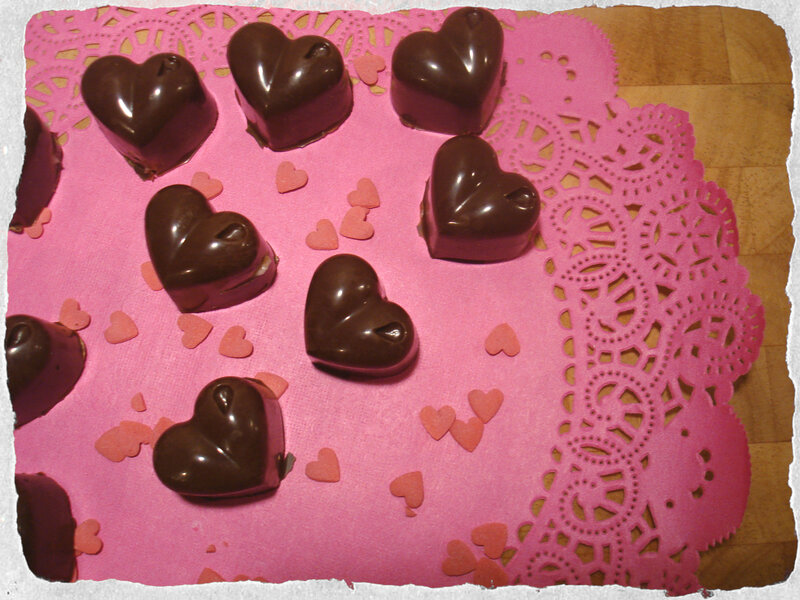 Start by placing your chocolate molds in the freezer. This way the chocolate hardens faster. Melt the dark chocolate and brush molds, making sure you cover the edges, so there are no holes where the filling could spill out. 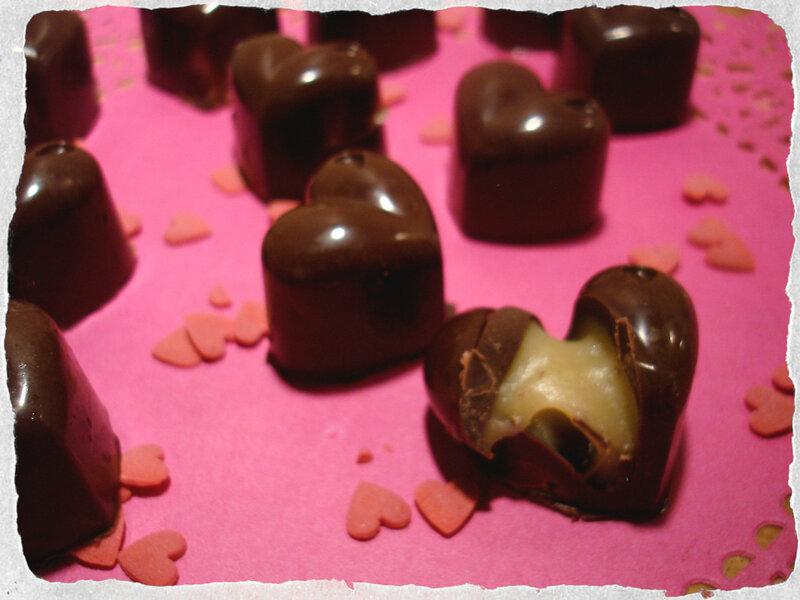 Keep about ¼ of the chocolate for the ‘lids’ later. Place in the freezer or fridge for a few minutes or up to an hour, however much time you have. 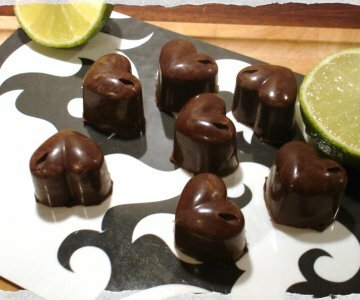 Melt the white chocolate with Baileys and cream. Pour the filling into the molds to approx. 2-3 mm from the edge. 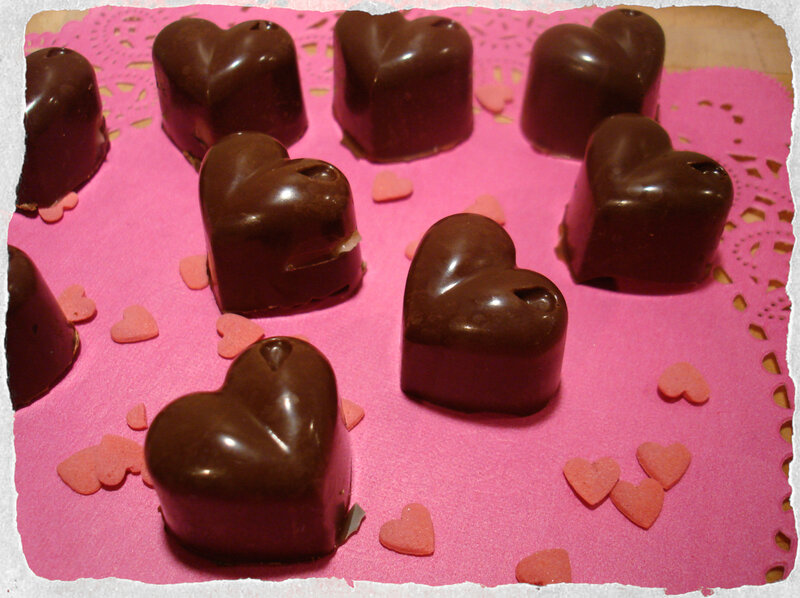 Finally fill the molds to the top with the remaining melted dark chocolate and place in fridge / freezer again to set. It will take about an hour or two before you can turn them out and enjoy. All in all I think it took me 2 hours to make, from start to finish. Store in an air-tight container in the fridge.